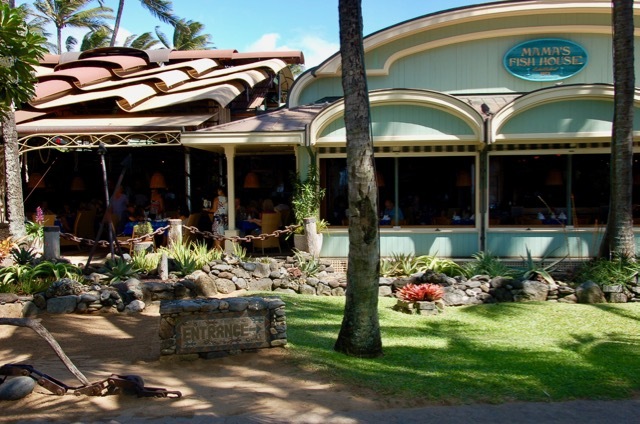 Mama’s Fish House sits on a private stretch of beach, dotted with palm trees, so you can watch the waves crashing on the beach from your table if you’re lucky enough to get a frontline table. 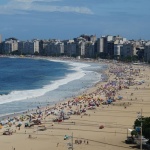 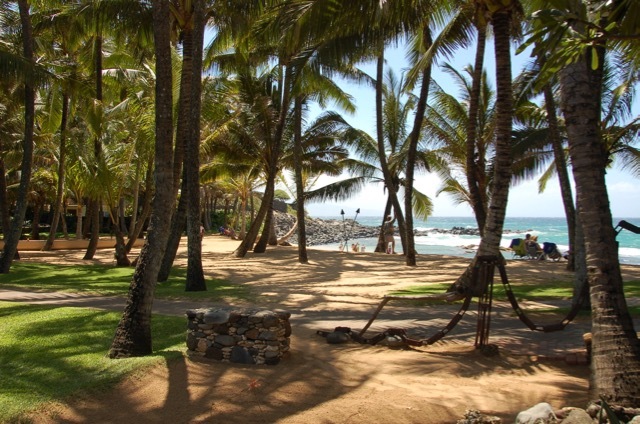 Go at lunch time so you can enjoy this scenic view while you dine, because you won’t be able to see it once the sun goes down. 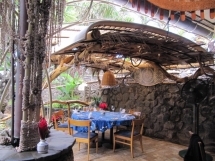 The interior captures the essence of memories of Polynesia with its tropical decor…fishing reels fanning out below the ceiling, canoes and paddles hanging from above, barkcloth on the walls, and split bamboo poles echoing the distant calls from Samoa, Fiji, Samoa, and the Hawaiian Islands. 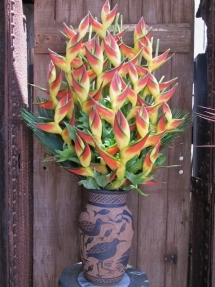 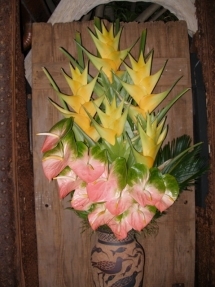 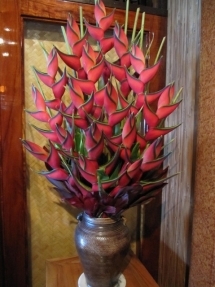 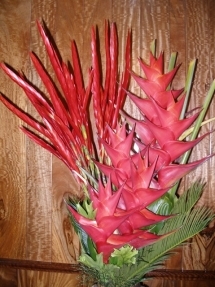 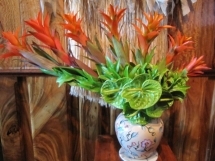 There are amazing paintings by some of Hawaii’s most famous local artists, and the person who creates the fresh flower arrangments exclusively for the restaurant designs the most unique flower displays I’ve ever seen with the exotic Hawaiian protea. 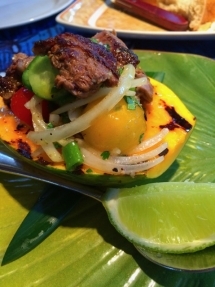 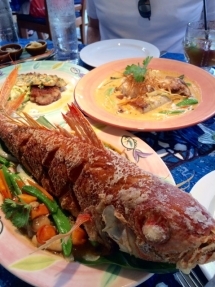 The food…omg…it is the perfect blend of the freshest fish and local produce combined to create exotic dishes that are as beautiful for the eyes as it tastes for your palate. 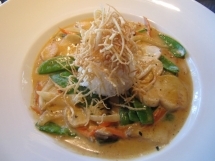 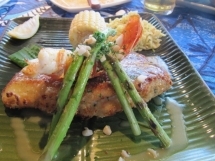 There is a reason why Mama’s Fish House is rated as one of the best restaurants in the world. 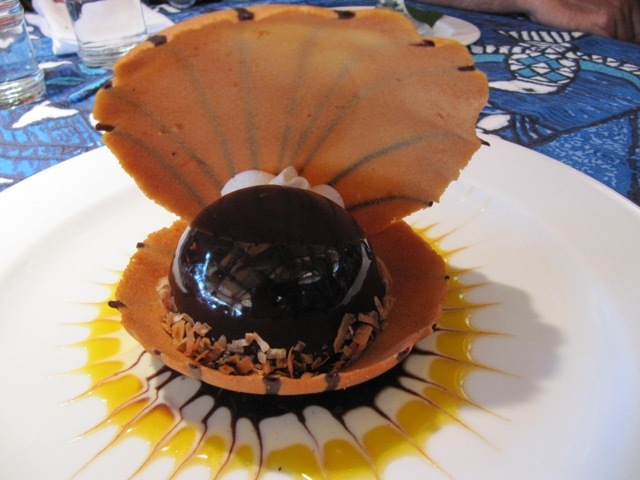 There is no way to describe the desserts…one is more wonderful than the next, but I’ll just leave you with one which I’m sure will make your mouth water. 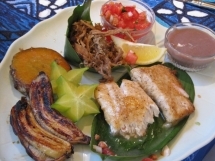 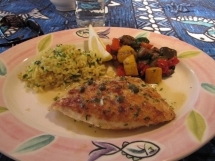 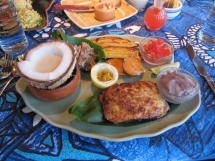 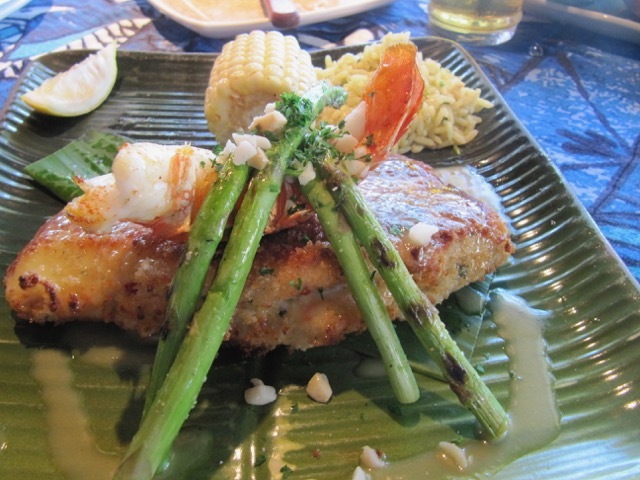 It’s a bit out of the way, but a trip to Mama’s Fish House is one you’ll never forget during your visit to Maui.